Metal Contamination is a major concern and can be solved only by installing a magnetic roller separator designed specifically for a similar purpose. This contamination can lead to several problems in the future and needs to be handled soon. 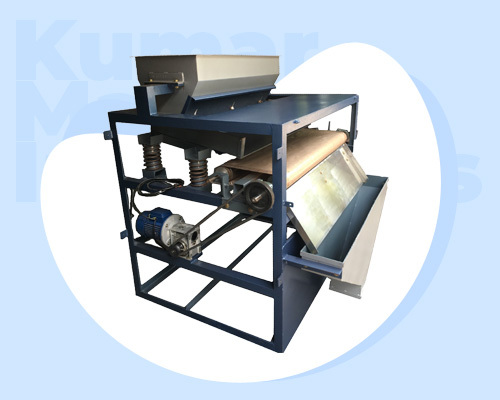 To buy the product, contact Jupiter Magnetics Private Limited – one of the painstaking Magnetic Roller Separator Manufacturers In Delhi. Our offered range is well-designed and has already passed quality and industrial parameters before reaching the final customer. Able to remove even the fine ferrous particles to safeguard the product from getting contaminated. It enables more efficient separation of micro-iron or paramagnetic material from ceramic raw material to achieve optimum performance. Due to its compact size, it requires very less space in your industry for proper installation. Also, it has a greater magnetic pole area and known for its self-cleaning design. Reach Us To Discuss More! For further information that you want to gather for buying a wide range of magnetic products, contact us now. We are one of the best Magnetic Roll Separator Exporters and Suppliers In India. You can reach us through contact details available on our website and our executives will be glad to assist you.